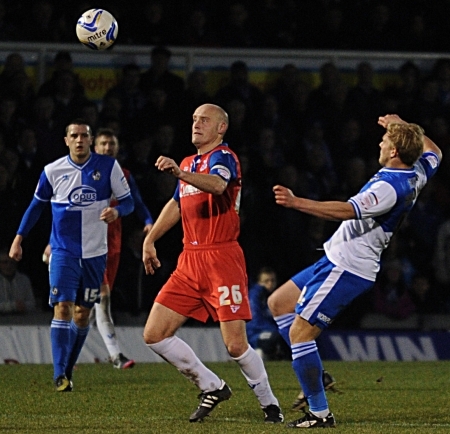 Southend United defender Adam Barrett cannot wait to be back in action for the Blues. Adam Barrett was a substitute at Scunthorpe United following an injury picked up at Millwall in September. He may well make his comeback against Bristol Rovers in the JPT at Roots Hall on Wednesday. “It’s a winnable game for us and hopefully we can pick up some silverware. Barrett enjoyed two years as a Bristol Rovers player prior to first joining Southend in 2004. And he admitted he was thrilled to see the Gas return to League 2 last season. “I spent two years as captain at Bristol and thoroughly enjoyed it. “It’s a good football club with good people and I am pleased to see them back in the Football League. You can watch a full interview with Adam on Blues Player HD by clicking here.